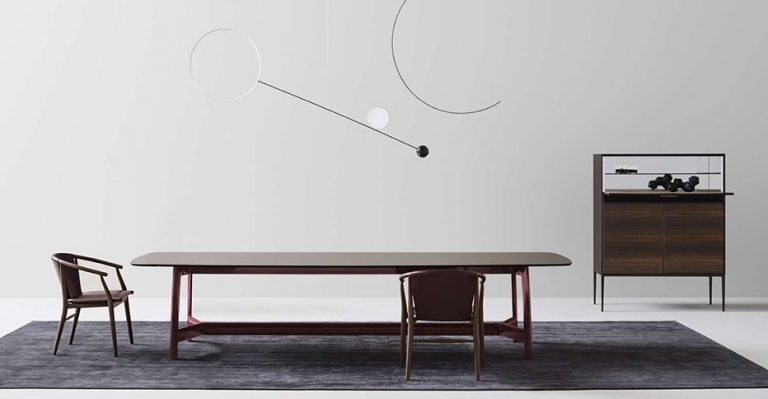 Designed by Antonio Citterio for B&B Italia in 2017, Alex is a new series of tables in various sizes, distinguished by the pronounced design of the sectional frames in large, lenticular shapes. 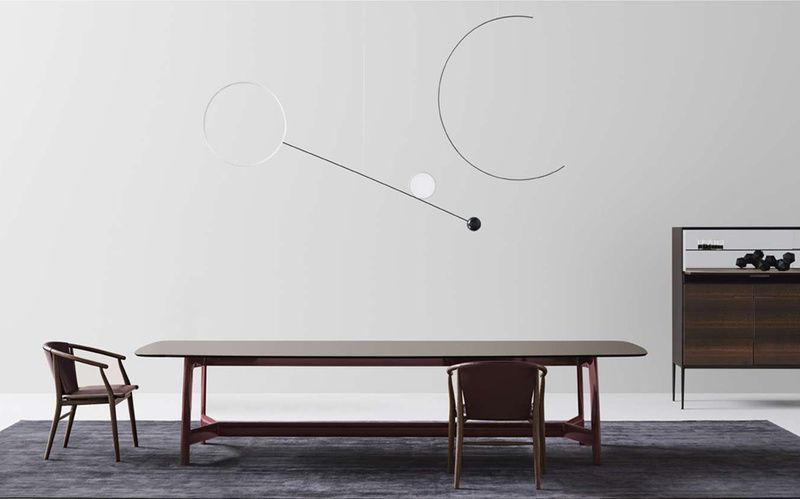 The “sawhorse” frame connected with the crosspiece is made of hard polyurethane with metallic drawn inserts in glossy or satin colors from the B&B Italia collection. 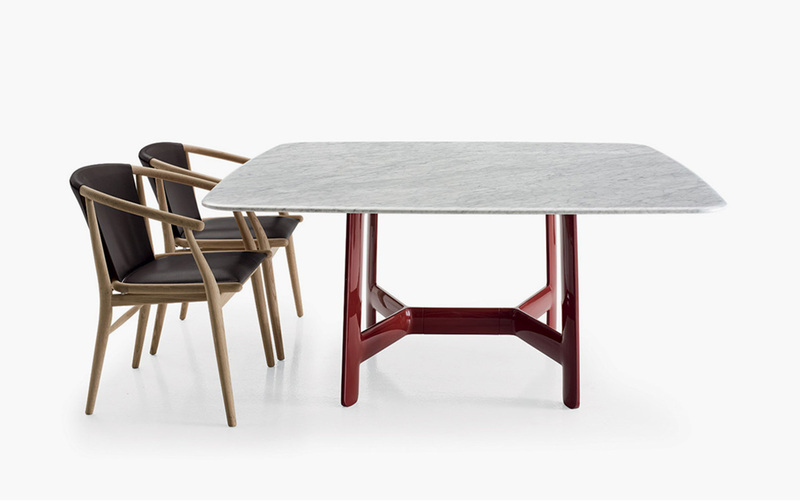 There are a wide range of finishes of the tops, from brushed light, grey, brushed black, smoked oak, glossy frisé eucalyptus and natural wenge to satin or glossy finishes in sixteen colors. 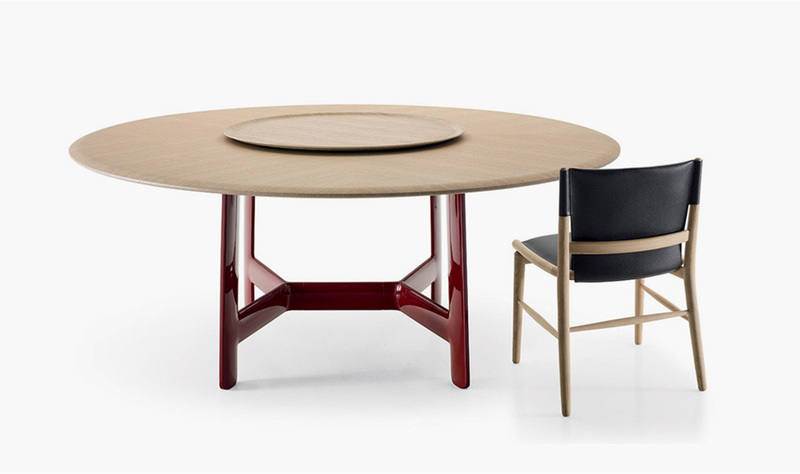 The round version allows the possibility of positioning at the center of the table a round swivel tray, made with glossy or satin finishes, in wood or in marble. 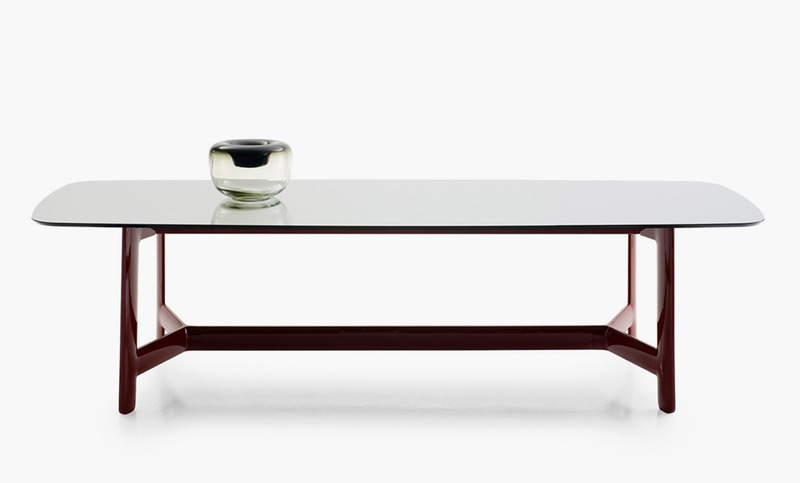 For more information about the Alex Collection, email us at sales@arksf.com or give us a call 415.565.7200.